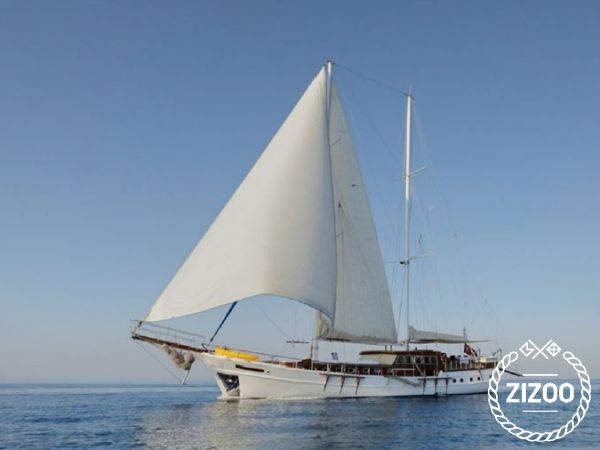 Sailing Holiday Custom Gulet from Bodrum, Turkey - Book Now! This gulet, built in 2016 is conveniently located in Milta Bodrum Marina (Bodrum), Bodrum - a great starting point for exploring Turkey by boat. With 5 spacious and comfortable cabins, this gulet is an excellent choice for larger groups and parties celebrating special occasions. Choose this gulet if you’re after a unique, fun and hassle-free boat holiday experience together with up to 10 people.